How to install Xposed on OPPO F1 Plus - Hello everyone from the other sides, Here's the tutorial about how to install xposed Oppo F1 Plus. How to install xposed in Oppo F1 Plus I make sure it has been tested and successful on our OPPO F1 Plus. Before you install xposed on Oppo F1 plus make sure that your phone is already rooted. For how to root root Oppo F1, you can follow our tutorial about how to install OPPO F1 Plus without a PC. And before continuing this, as usual you have to agree that AnyIndo is not responsible if your device hardbrick / bootloop, so please Do With Your Own Risk. For preparing, better you take backup important files and data you. 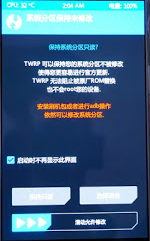 If you've changed into TWRP recovery, do not perform the update OTA. 1. First, download TWRP Recovery on your Oppo F1 Plus (we've provided in this article) and save it on your phone. 2. Install Flashify from the PlayStore Flasify. 4. Download Xposed Installer in the link we've bundled it (there are 3 File contents: xposed APK, Framework and Uninstaller) download and extract and copy all files to HP yes. 5. First, take backup stock recovery and kernel via Flashify, means if later you want to go back to the stock recovery is easily. 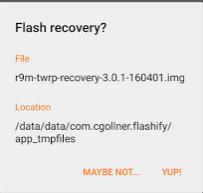 Open Flashify application > Flash > Recovery Image > Choose a file and open twrp which have downloaded. 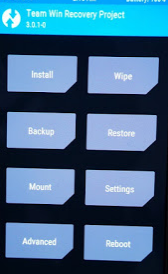 When you are finished toflash TWRP, continue it with the reboot. 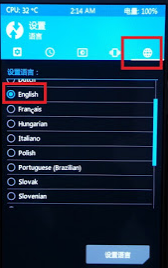 TWRP default language is Chinese language, first, we need to change it to English. How to replace it, see the picture bellow! Then it would look like the following picture, select only appropriate that we've marked it as in the picture and then click the OK (bottom right button itself). Done, we worked so good until at this time. Let's continue this, don't forget to take Nandroid Backup via TWRP. Next, continue by installing xposed-v86-sdk22-arm64.zip file and select install menu on TWRP and find out the file you've copied). Once finish, just reboot your phone (this reboot may take rather old, based on our experienced this take about 5 minutes. Once reboot process has done, of course Xposed Installer has been installed on your OPPO F1 Plus. Belum ada tanggapan untuk "Installing Xposed on OPPO F1 Plus without PC"